If it’s the getaway, the relaxation, or the catch, guided Fishing on Lake Oahe will not disappoint! Nestled in one of the greatest fishing spots in the country is Lake Oahe, a dammed area of the Missouri River. It gives way to some amazing fishing. 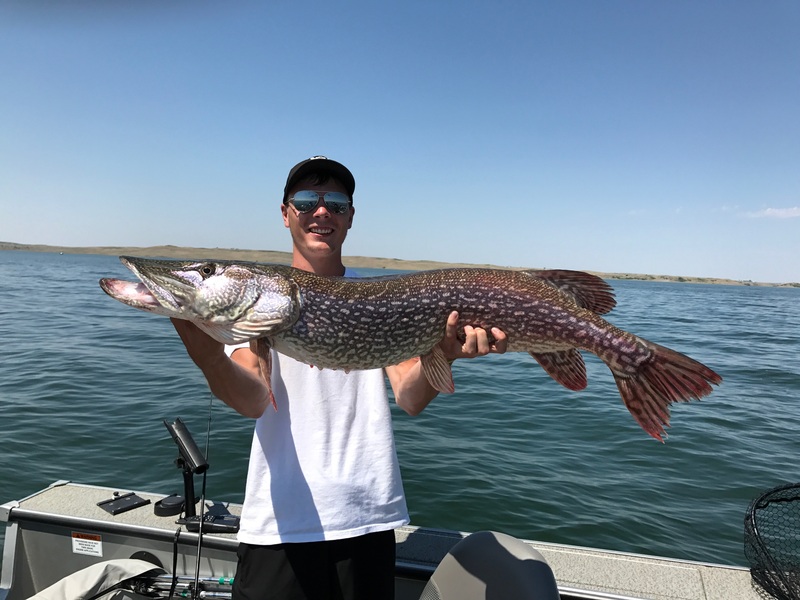 record northern pike, world class walleye, catfish, small mouth bass, and salmon (in the fall) are just some of the different kinds of fish we catch. so if you’re looking for a variety of fishing, look no further!